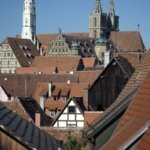 For visitors to Rothenburg there are not only museums and churches, but countless beautiful spots and wonderful views to be found too. 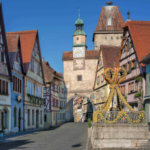 Whether it’s towers, gardens, fountains or patricians’ houses, there is much to learn and many photo opportunities on a walk through Rothenburg’s old city and Tauber valley. What? This is where the councilmen used go to have a drink after a session was concluded. 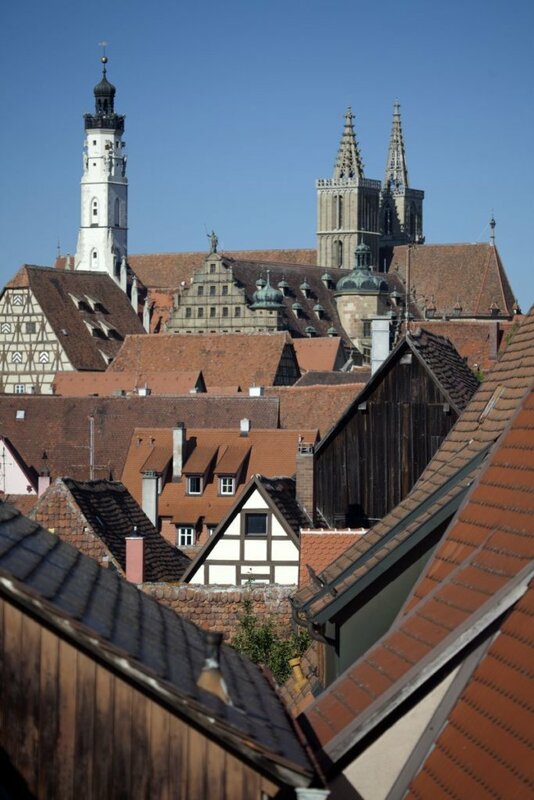 Nowadays, visitors from all over the world come here for information for the staff of our Rothenburg Tourism Office. 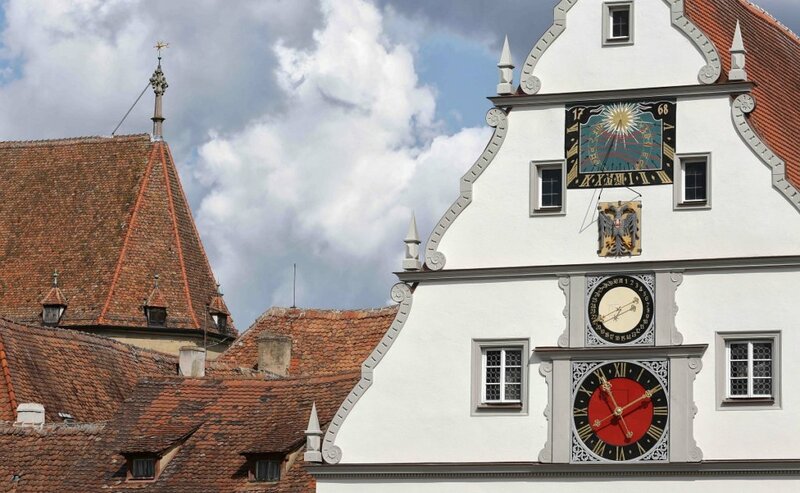 Quick fact: The town clock on the front of the building is from 1683. The sundial is from 1768. An absolute must: At each full hour between 10 a.m. and 10 p.m. General Tilly and the former mayor Nusch appear from the clock on the building facade. What? 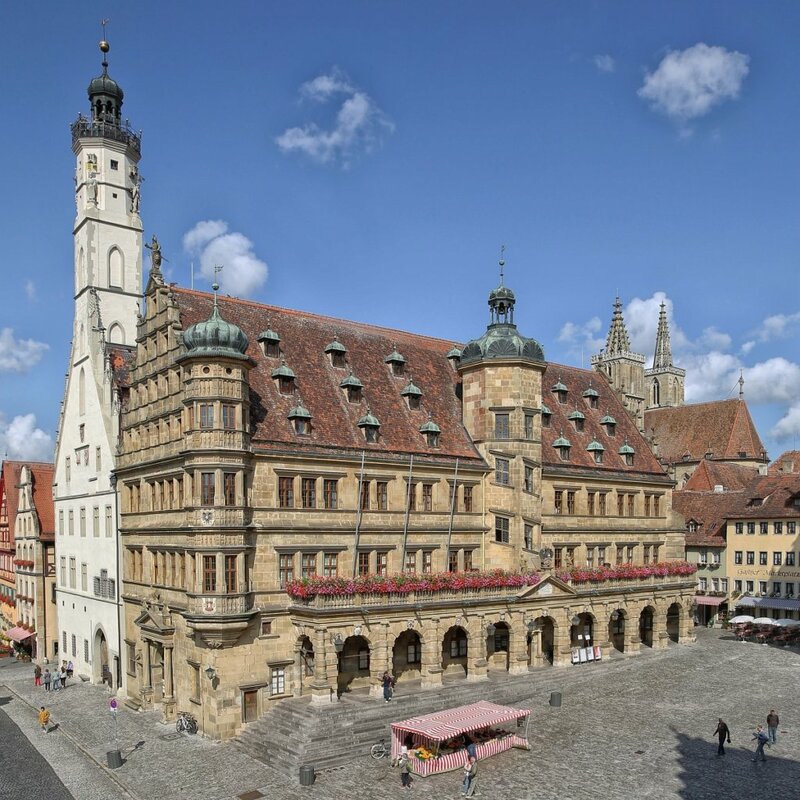 The city hall’s Renaissance facade makes Rothenburg city hall THE eyecatcher of the Marktplatz. The western section remains preserved, but the eastern section was lost to a fire in 1501. The Baroque style arcade was added to the front in 1681. The historical dungeons are found in the Lichthof. Fun fact: 220 steps take visitors up to a viewing platform at the top of the city hall tower. 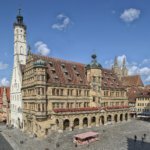 An absolute must: The city hall tower provides visitors with an unparalleled view of Rothenburg’s old quarter and the surrounding area. What? 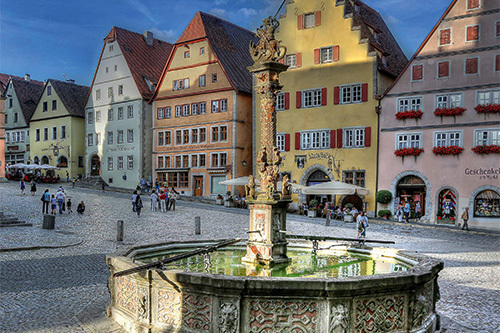 Built in 1446, the Marktplatz fountain holds 26,417 gallons of water. 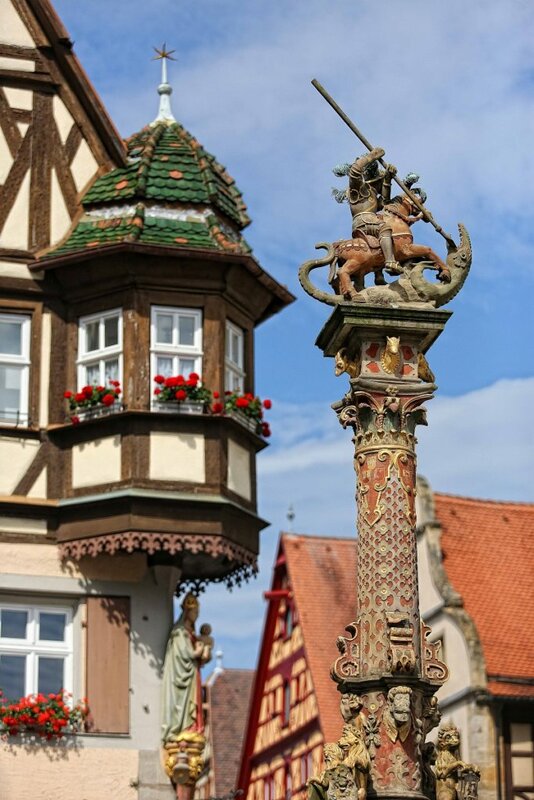 An artful pillar bearing St. George and the dragon has decorated the fountain for over 400 years. Don’t be surprised to see a glass facade protecting the pillar and statue from the cold in winter. Fun fact: A replica of the statue can be found in the German Pavilion in Walt Disney World in Orlando. 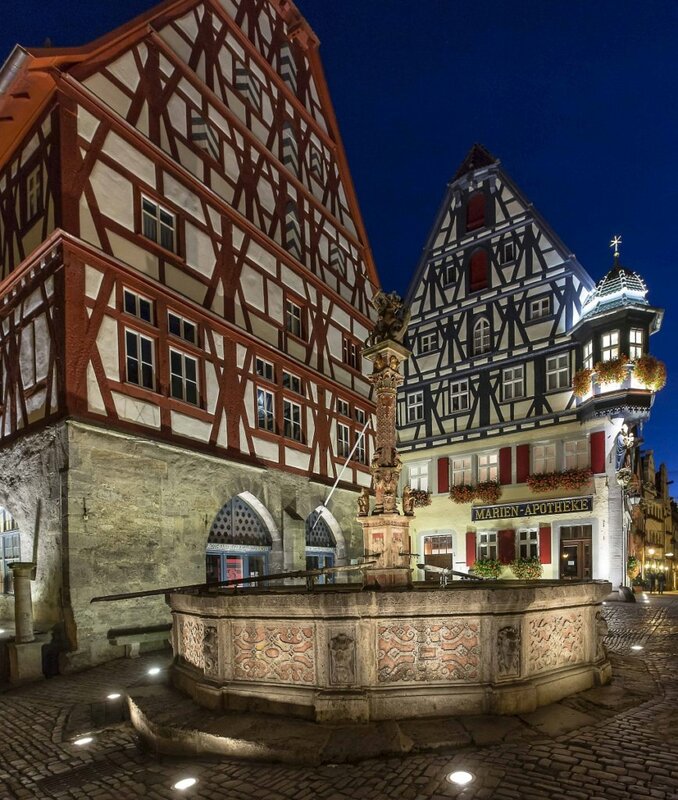 An absolute must: A fabulous photo opportunity is capturing the reflection of the timbered houses in the fountain’s waters. What? The butcher’s and dance hall is a stark contrast to the slender patrician’s house that is today home to St. Mary’s Pharmacy. 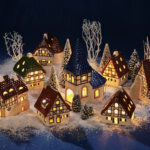 Its actual name is Jagstheimer house because it was built by a mayor of the same name in 1448. Approaching from Marktplatz provides entrance to Herrngasse, in which stand the properties of the erstwhile wealthy patrician families. 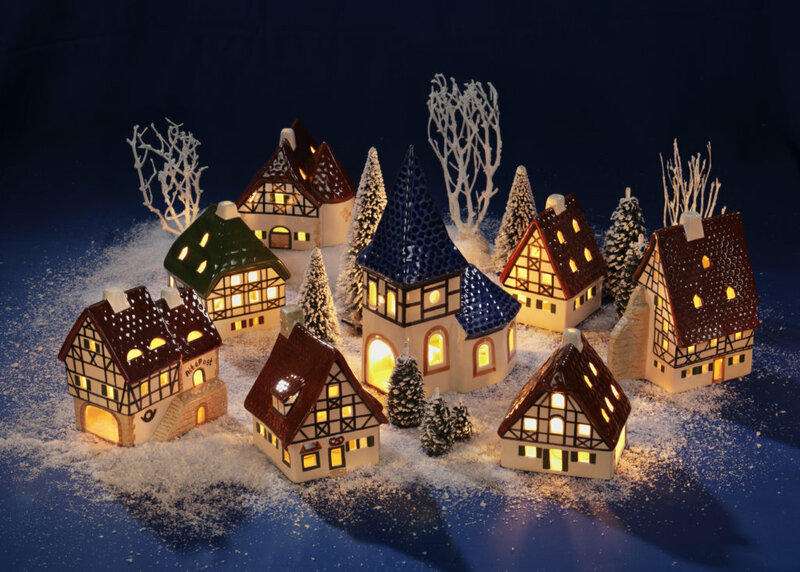 Fun fact: The Hapsburg emperor Maximilian I (1459–1519) once stayed in Jagstheimer house. An absolute must: A visit to the exhibition rooms of Rothenburg Artists Association in the Butcher’s and Dance Hall. What? According to the inscription, this fountain in Herrngasse goes back to 1595, meaning that it stylistically belongs to the Late Renaissance era. 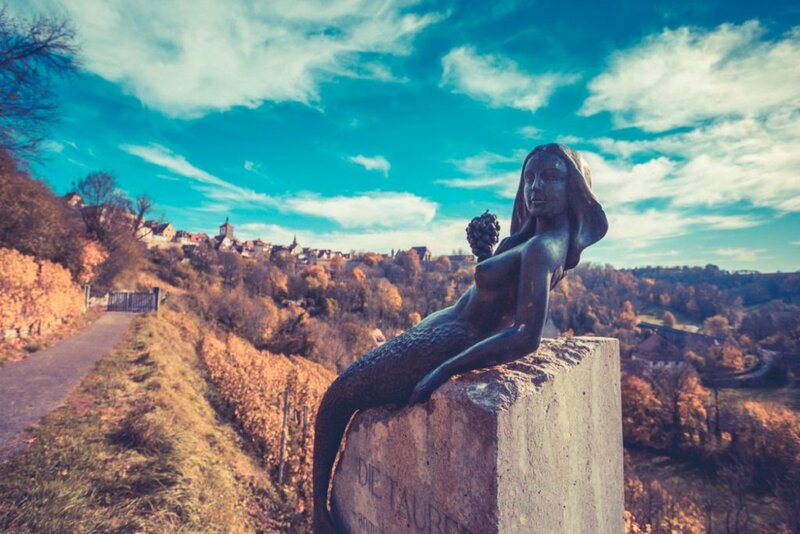 The statue atop the pillar is a mermaid with two fishtails. She wears a golden crown on her head and holds a golden scepter in her hand. Fun fact: The cattle market used to be held around the fountain in Herrngasse. 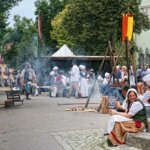 An absolute must: During the Imperial City Festival around Rothenburg’s old quarter you can watch reenactments of bakers being dunked in the fountain, which used to be the punishment for those found fraudulent. What? 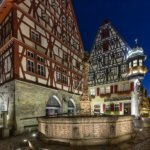 The impressive property located at Herrngasse 18 along the grand street is the oldest preserved patrician’s house in Rothenburg. 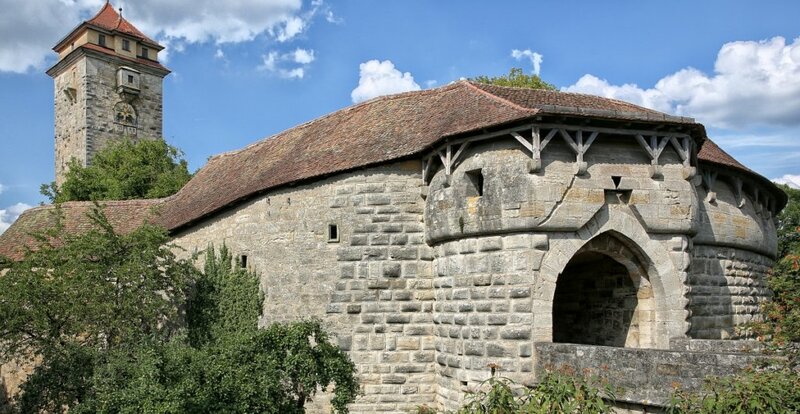 It was built in the twelfth century and has been owned by the Staudt family since 1697. Fun fact: Why can the colors black and yellow be seen all around the Staudt courtyard? Because these are the colors of the House of Hapsburg, which raised the Staudt family to nobility in 1700. An absolute must: Martin Kamphans’ special guided tour of the patricians’ courtyards through the old city provides a glimpse behind the scenes of the property. Where? At the end of Herrngasse: Just please don’t ask anyone about the castle! What? 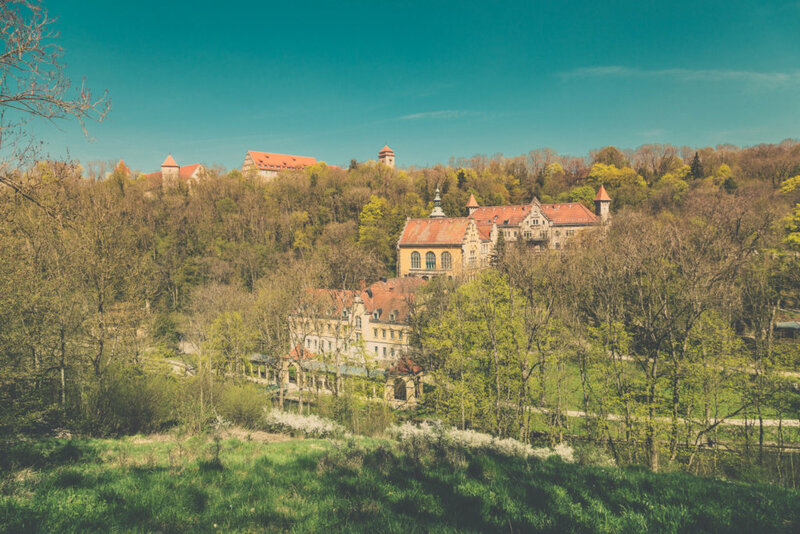 Today, on the site where the Hohenstaufen built their Imperial castle in 1142, is a beautiful park in the style of English landscaped gardens and one of the most spectacular views over the Tauber valley to the hospital quarter. This oasis of peace close to the old city is also home to the Blasius chapel. Fun fact: Legend or history? An earthquake in Switzerland is said to have destroyed the castle grounds in 1356. Or did city residents feed the king a line so that they could use the expensive masonry for their own town wall? 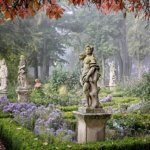 An absolute must: The garden at the center of the castle gardens is from the seventeenth to the eighteen century and features eight sandstone statues that represent the four seasons and four elements. Where? Leave the castle gardens in the direction of the hospital quarter. What? 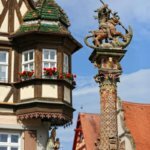 Yes, Rothenburg lies at the southernmost point of the Franconian wine region. 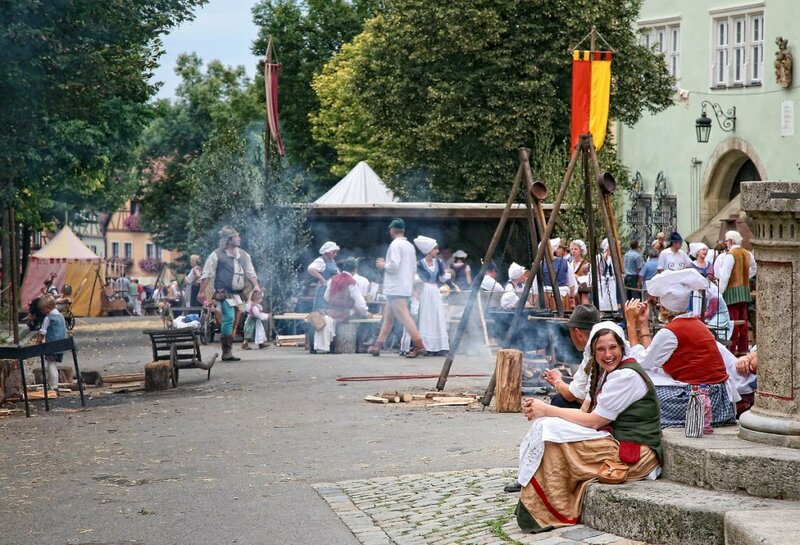 Visitors can enjoy it for themselves at the winery An der Eich at the foot of the old town wall. The Glocke winery and hotel is owned by the Thürauf family. Hiking routes lead directly from the castle garden and viewing platform beneath the Medieval Crime and Justice Museum directly through the area. 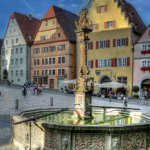 Almost no other place is as peaceful in Rothenburg as it is on Rothenburg’s Riviera. Fun fact: Albert Thürauf cultivates 160 historical grape varieties at the An der Eich winery. 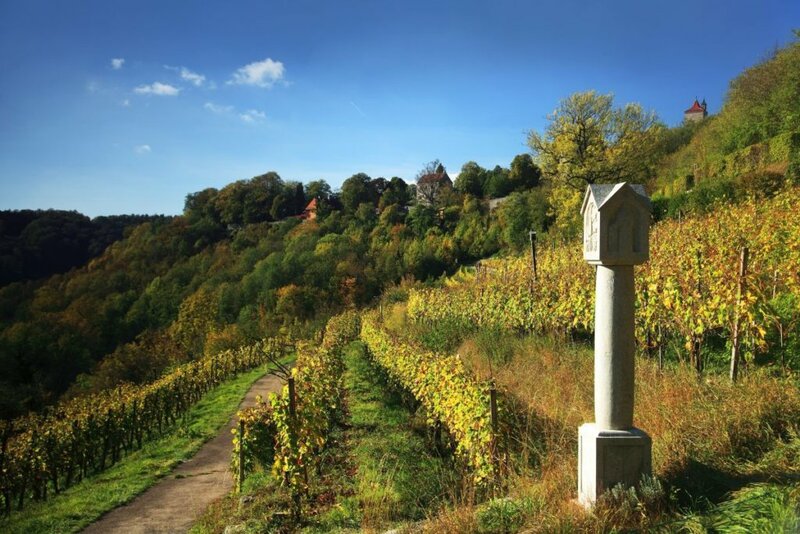 The family owns a total of seven vineyards in Franconia. 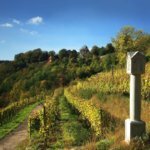 An absolute must: The guided tour of the vineyard with Albert Thürauf will turn you from a layperson into a wine connoisseur. What? 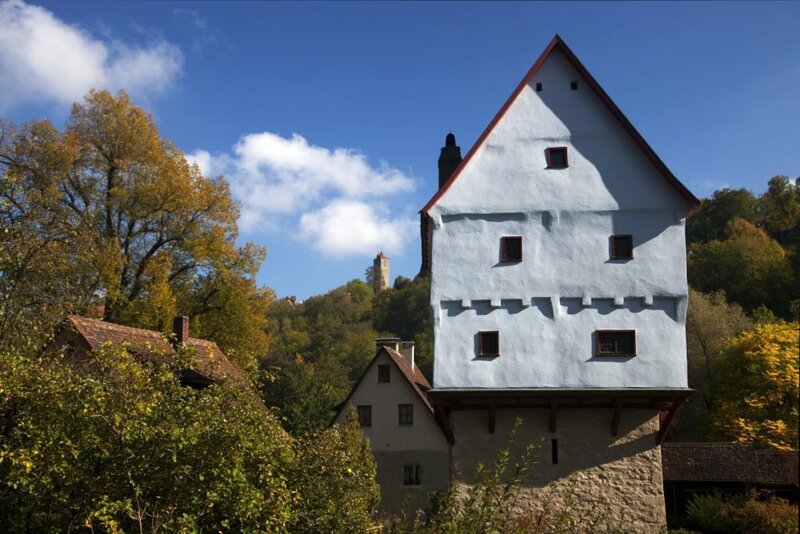 During periods of war or when water levels were low, the grain mills in the Tauber valley were unable to sufficiently supply Rothenburg. In 1516 the Rossmühle mill was built to be able to mill the city’s entire grain supply if needed. 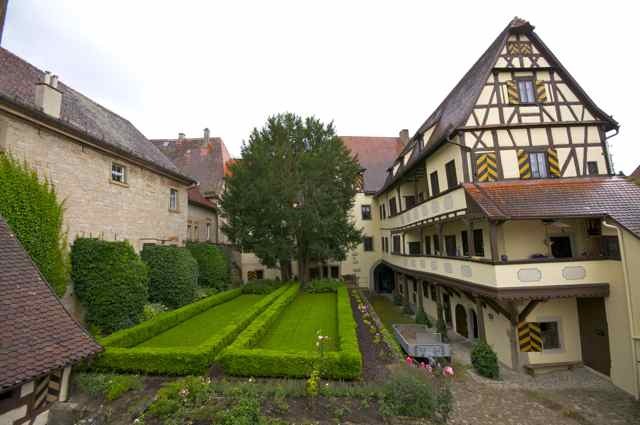 Today, the youth hostel is located directly in the middle of Rothenburg’s old city. Fun fact: Up to 16 horses were used to power the mill! An absolute must: The chalk tower is located directly alongside Horse Mill. This offers an unparalleled view of the city that features the St James Church and the city hall tower. What? 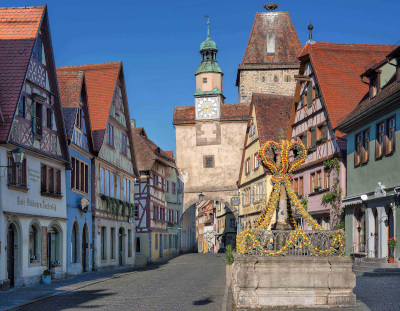 The hospital quarter was the last section of Rothenburg’s old quarter to be brought within the city’s walls. The Spitaltor is also home to the most modern section of the city’s defenses. Although the term modern is used relatively here. The bastion was finished in 1546. A genuine eyecatcher is the Hegereiter house with its pavilion roof and slim, round stairwell tower. 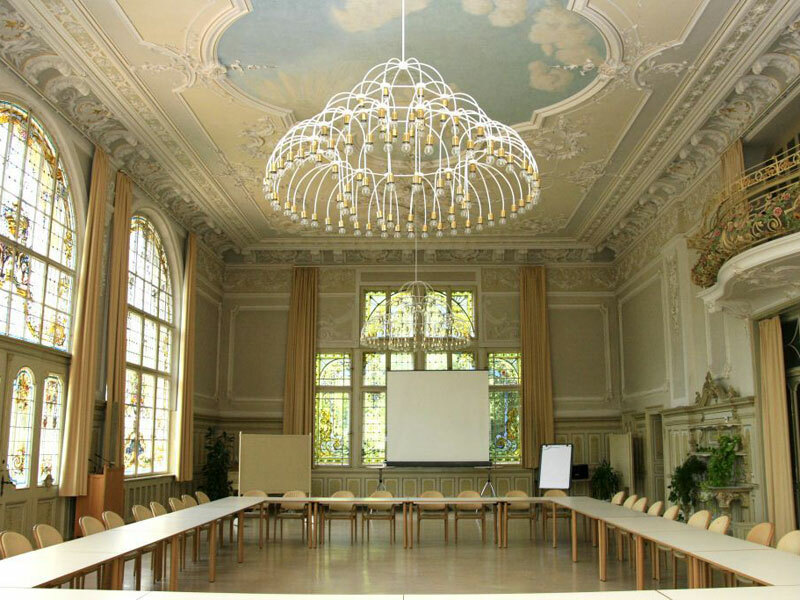 The Reichsstadthalle offers fitting premises for all kinds of events and seats 570. Fun fact: The motto Pax intrantibus, salus exeuntibus (peace upon those who enter, good health to those who leave) welcomes visitors entering through the Spitaltor. The architects behind Haneda Airport in Tokyo found the motto so fitting that they simply adapted it. An absolute must: Keep an eye out for the Stöberleinsbühne stage during city festivals. The open-air stage in the Spitalviertel hosts particularly atmospheric productions. Where? Starting at the Rödertor within the city walls and along Röderschütt, head a little way south. What? The building is a loving replica of the original that was destroyed during an air raid in 1945. The graceful gable, pretty windows, and vibrant coat of arms were recreated in 1951. 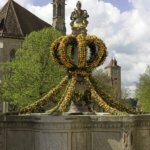 Fun fact: The coat of arms with the crowned snake is a creation of the legendary Gerlach smith, Georg Gerlach, himself. 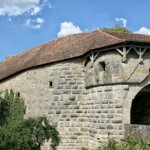 An absolute must: The destruction of Rothenburg in the Second World War has been documented by the Old Rothenburg Association in an exhibition in the nearby Röder Tower. What? In contrast to every other fountain in the city, the fountain in Rödergasse is wide and set into an extension of the road so that it could serve as a drinking fountain. 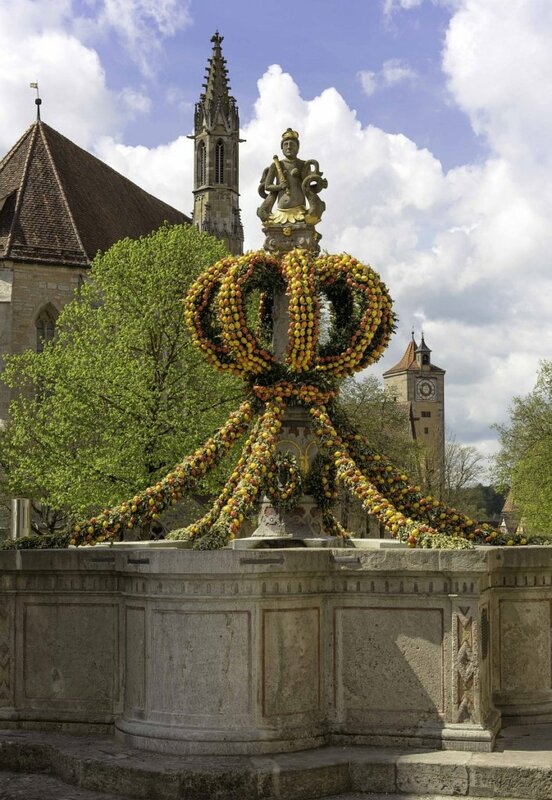 Fun fact: The fountain at Rödergasse is festively decorated over Easter. Around 2400 eggs decorate the fountain to combine with the Markusturm to become a real eyecatcher. 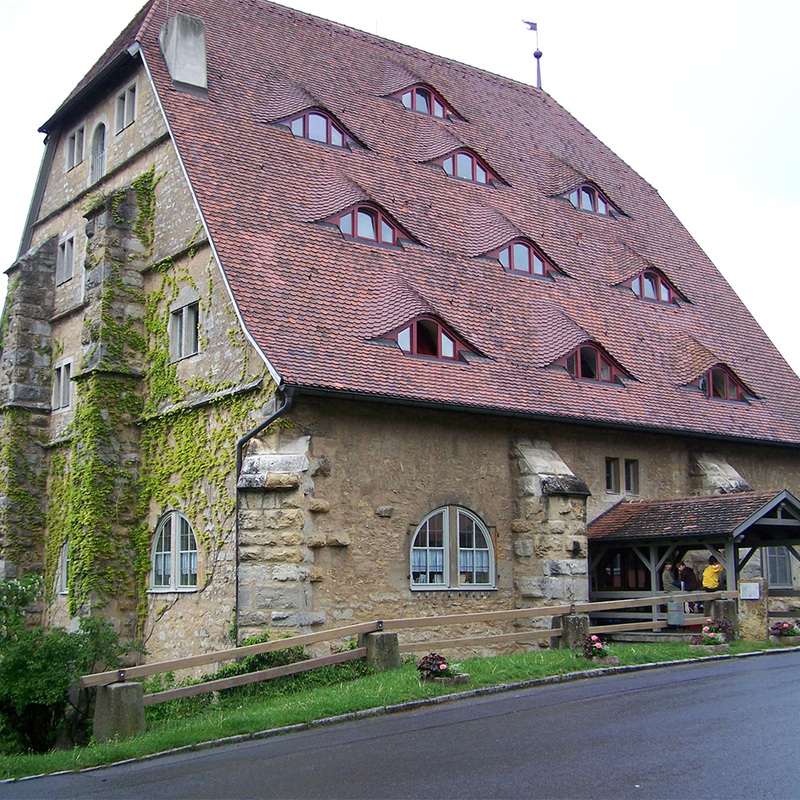 An absolute must: The nearby Romantik Hotel Markusturm offers beer brewed in Rothenburg. The owner, Herr Berger, sells only his own beer, which is not available anywhere else. What? 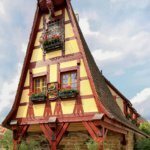 Here lived the famous Rothenburg builder and stone mason Leonard Weidmann. 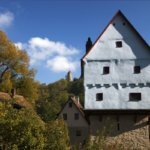 Along with his own house, he built the Spitalbastei bastion and the Hegereiter house. Fun fact: Admire the Renaissance facade that features the seven virtues Chastity, Temperance, Charity, Diligence, Patience, Kindness, Humility, as well as the seven sins Avarice, Envy, Wrath, Sloth, Gluttony, Lust, and Pride. An absolute must: The original statues are found in the RothenburgMuseum. What? The legendary Rothenburg mayor Heinrich Toppler built this water castle in 1388 to serve as both a defensive tower and as a residence. sixteenth to the nineteenth centuries. 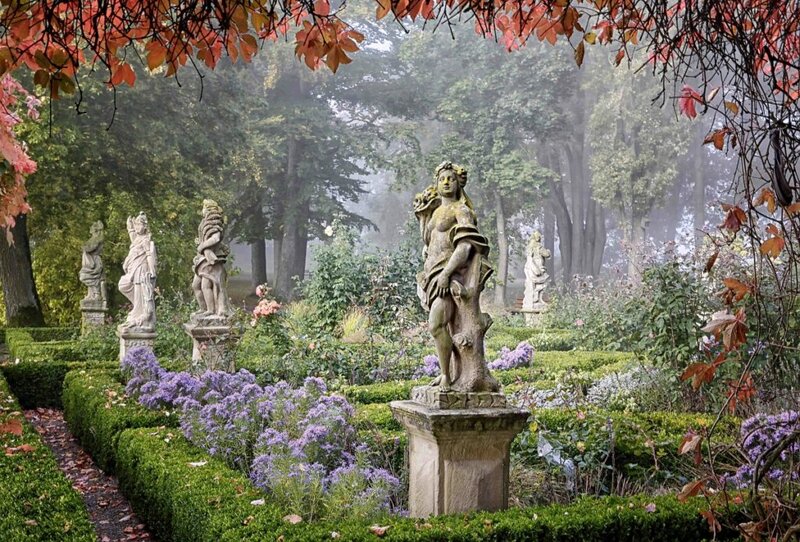 It is located in the private garden of the Boas family. An absolute must: Frau Boas offers short tours around the small castle. Book in advance and wait at the entrance to the grounds. What? This bridge in the Tauber valley is from the fourteenth century and is similar in its construction to a Roman viaduct. From here there is wonderful view of the city. 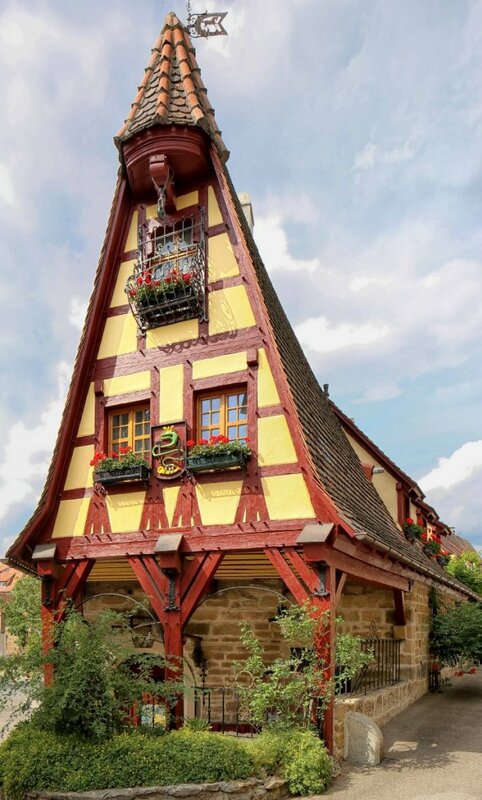 A visit here can be combined with a trip to the Rothenburg Kletterwald ropes course. 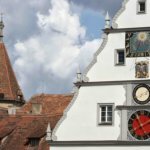 Fun fact: The bridge extends over the Tauber, which begins in Wettringen about 12 miles away. An absolute must: During the Free Imperial City festival, the torchlight procession made by the historical reenactment groups begins here on the Friday. On the Saturday, the twin bridge is the best place to watch the festival fireworks display. What? 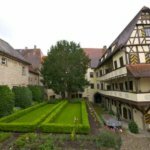 Wildbad Rothenburg is located in the building an old health resort from the nineteenth century that was built in the Historism style. The Protestant congress center found there today also offers accommodation. Fun fact: The villa has three stories with 38 guest rooms, all with shower and WC. The spa building directly on the bank of the Tauber has three stories and 20 guests room, all with shower and WC. 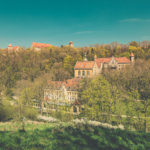 An absolute must: Wildbad has much in the way of culture to offer, including art exhibitions, midday classical music and even an electronic music festival as the sun sets. What? A walk around leads past idyllically located, hidden seats. Two Japanese pagoda-style pavilions offer a wonderful view of the rushes and goldfish ponds. Babbling streams create an atmosphere of relaxation and well-being. Fun fact: The gate in the lotus garden is imported from India and is 250 years old. Its rare woodcarvings stand beautifully over the entrance. An absolute must: Quickly drop by the workshop where Leyk’s lighthouses are made. It is located in the lotus garden!